Benders follows a team of friends bonded by an irrational obsession with their men's ice hockey team, The Chubbys. Created by Jim Serpico and Tom Sellitti, IFC's first ensemble comedy follows a group of friends who are bonded together by their totally irrational obsession with men's hockey, specifically their league team known as the Chubbys (seriously). 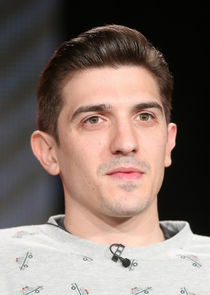 Cast members include Lindsey Broad (The Office), Chris Distefano (Girl Code), Mark Gessner (Orange Is the New Black), Ruy Iskandar (Gotham) and Andrew Schulz (Guy Code). Several well-known comedians and actors make an appearance in the first season, including The Sopranos' Steve Schirripa, Breaking Bad's Mark Margolis and even Jim Breuer.